Meredith Host has been one of my biggest ceramic influences in all my work as well as a main inspiration to pursue ceramics in the first place, and her use of pattern in her most recent work was what made me realize I could apply my love of geometric patterning to my ceramic work. 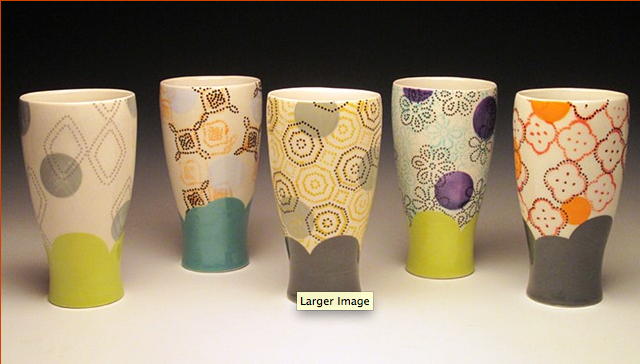 She uses a number of different processes in decorating her forms and creates a number of layers in her patterning. 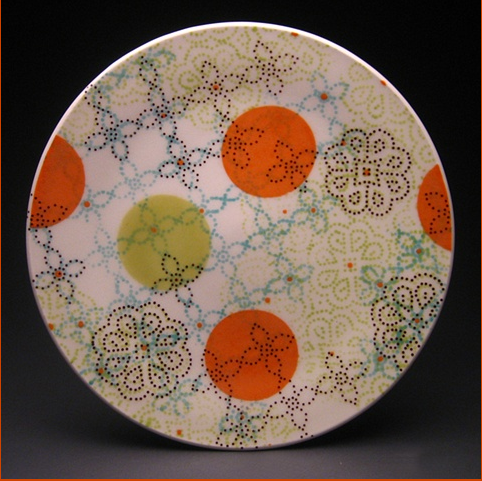 Screen printing, paper stencils, and decals are all employed as ways of creating the patterns she applies to her dishes. 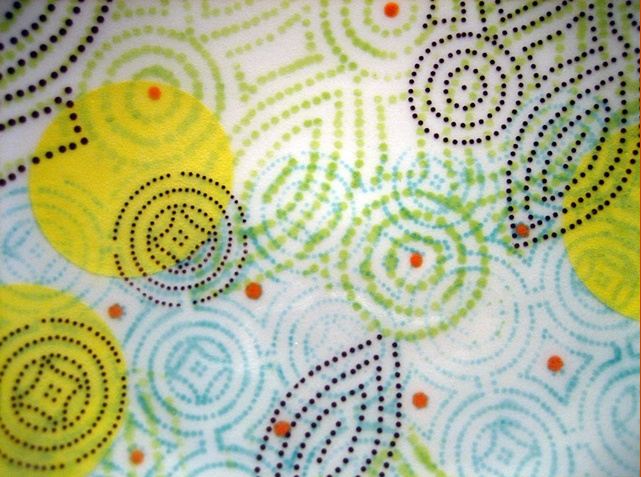 She uses found patterns from unexpected sources – paper towels, napkins, and toilet paper. Click here to visit her website and find more of her awesome work.